Hello! 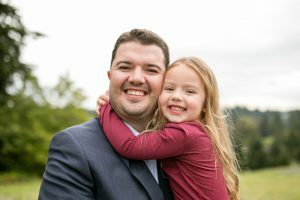 My name is Brandon Vick and I am your State Representative in Washington’s 18th Legislative District. I would like to thank you for the trust that you have shown in me over the last six years, and humbly ask for your vote for re-election. I am running for re-election for a very simple reason. That reason is passion. Passion for our Country, passion for our State, and passion for our community. As your State Representative, a husband, a father, a small business leader, and a long-term resident of the 18th District; I understand the challenges that are facing the people of SW Washington. While serving you in Olympia, it has been my pleasure to fight for the values that are important to you and I.
I am proud to have earned a reputation as an effective legislator who works hard to ensure that your voice is heard. I am pleased to be trusted to serve as the Ranking Member of the Business & Financial Services Committee, the Appropriations Committee, and the Commerce and Gaming Committee. I am honored to also serve as the House Republican representative to the Legislative Ethics Board, and the Washington State Gambling Commission. But of all of the things that I have accomplished, I am most proud to be the only legislator from SW Washington to not have been absent for a single vote over the last six years – making sure that your voice has been well represented in Olympia! Being an effective legislator is a direct result of not only being a team player, but of stepping up to take the lead when it is needed. I am proud to have worked on creating a balanced budget while being responsible with taxpayer dollars. I am also proud of the work that we have done in making sure that K-12 education is our state’s top priority. Over the last six years we have made historic investments in K-12 education. By refocusing the state’s priorities back onto education, we have been able to fully fund out K-12 education system. That funding includes money for smaller class sizes, full-day kindergarten, teacher pay increases, and addressing school materials, supplies, and operating costs. I will continue to advocate for reforms and improvements to how your tax dollars are spent while fighting to bring your property taxes back into alignment. I ask you today to allow me to continue that good work. As a proud father and product of our local schools, there is nothing I want to see more than for our children to be given the best opportunity to succeed in an increasingly competitive global economy. We must make sure that more of you hard earned money makes it into the classroom, and that less is spent on bureaucracy. As a small business leader, job creation is close to my heart. We must continue to do more to make sure that employers are given a friendly, stable, and predictable environment. Jobs can only be created if we make sure that regulations in our state are not overly burdensome, that permits are easily accessible, and that tax rates are stable and not prohibitive. By achieving these goals, we can get Washington back to work. Please continue to browse the website and become familiar with those who are supporting me, and my positions on the issues that are important to both you and I. Again, my name is Brandon Vick and I am your State Representative in Washington’s 18th District. I will continue to work hard to earn your trust and support, and I would be honored to have your vote for re-election. As always, thank you for allowing me to serve you! Brandon has worked hard, and will continue to work hard, for the people of the 18th District. Brandon is the only legislator in SW Washington, in the House and Senate, who has a perfect voting record over the last four years. I support Brandon and would ask you to re-elect Brandon Vick again. 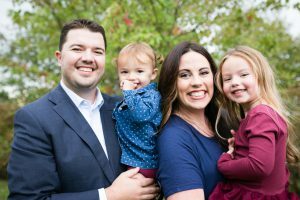 "Vick is a diligent, hard-working, effective leader who is knowledgeable on the issues facing Clark County, where he is a lifelong resident involved in his family-owned and operated business." "One of the things I like most about Brandon is that he's a relaxed, easy going guy. He's down to earth and very approachable - he's someone that listens to his constituents and takes his work very seriously."